Want to help end ticket-scalping and ticket-fraud? Want to watch the software you build immediately get put to use at the highest levels of the music industry? Want to join a team of hard working, fun loving people who are still a little weird and know how to both ship rock solid code and not take life too seriously? 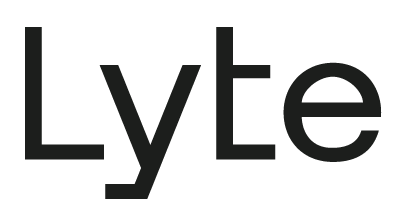 The Lyte engineering team is scrappy crew of technology professionals who have experience across the early stage startup realm. We are looking for talented senior server engineers to help us continue to scale our application stack. Our core engineering problems are rooted in the fact much of what we do involves interacting with external api's to conduct ticketing transactions. * Someone who understands Python/Django inside and out including Django ORM and will likely have 5+ years experience with. - Competitive Salary including meaningful equity. - Flexible Vacation policy, take the time you need. - Awesome opportunities to occasionally interact with all walks of life in the music industry. - 2nd and Howard office location, easy access to major transit. - Office provided snacks, food, occasional lunches, coffee, peer baked goods. - Occasional happy hours but not an office dominated by the party vibe. - Other cool industry perks that we will tell you about in an interview.